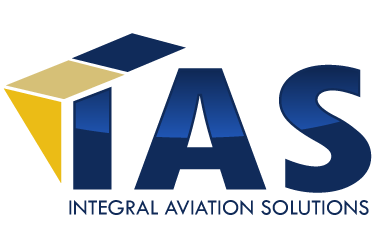 Having been in the aviation industry for over 30 years as an aviation department manager, major airline captain, aircraft completion consultant and President of Integral Aviation Solutions Inc, I feel uniquely qualified to discuss the completion or conversion process of an airliner into a “Flying Home”. Long before Boeing was producing the Boeing Business Jet and Airbus the Airbus Corporate Jet. 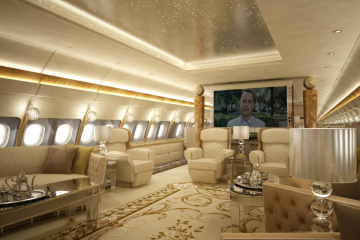 We were converting Boeing and Airbus airliners to corporate, personal and “Head of State” service. Once you establish that an airline is suitable for your flight operations there are many choices to make; the first step is to set a budget. A new BBJ or ACJ start around 55 million “Green”, that’s without any interior. 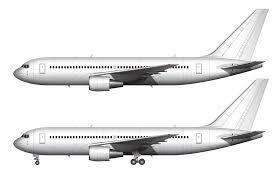 An average completion on one of these aircraft is between 18 and 35 million depending on you personal choices. There are many less expensive ways of getting a similar aircraft without the 75 million dollar price tag. There are many pre-owned airlines available that can be converted cost effectively. The timeline has changed rather dramatically recently with the weak economy. Today there are new aircraft positions that can be purchased and room in the completion center hangars so the overall project time from start to finish for a new aircraft is reduced quite a bit. We have always been able to accommodate our client’s needs in a more timely fashion than the mega-operations however today it’s even easier. Expect the process to take between nine month and eighteen months depending on your design and size aircraft. There are pre-owned aircraft available for those that need one sooner. Please get assistance prior to purchasing an aircraft there are many areas a non-professional can overlook. Once you get an aircraft the fun part starts designing the aircraft of your dreams. I usually send my design team to meet with my client’s in their home. This allows the team to get a feel for the personality of the client in order to help them decide of the style they desire in their aircraft. We have designed some very traditional aircraft what I call “the flying board room”, ultra-modern sleek European and even some that reflect a corporate identity. Our design team creates a LOPA(Layout of Passenger Accommodations) as well as designs for the desired rooms including: main salon, dining, bedrooms, bathrooms, offices, conference rooms, bars, galleys, surgical suites, SPA rooms, prayer rooms etc. State of the Art cabin electronic system allow for en-route business meetings though broadband Internet connections, VIOP and satellite telephones. To help pass the time entertaining Satellite television is available. Passenger can even use their own handheld devices; Blackberry’s and iPhones . The technology is advancing so rapidly we sometime are provisioning the aircraft for equipment that is not even certified yet. We stay in tune to the manufacturers product pipeline so our clients don’t end up with an obsolete system. We even have the capability to equip the aircraft with high tech security systems and missile defense systems. Being as most of the furnishing and cabin systems are custom designed and engineered, the client has a lot of freedom in their choices however they must meet rigid FAA standards. This is where I come into the process guiding both client and designer toward maximizing the safety and cost effectiveness of the interior layout. Quite frankly almost anything is possible” IF” you have enough time and money. We know that most people don’t want to wait years and send extra millions for extensive engineering and tests on something very radical when with a little change, they can be airborne months sooner and save a tremendous amount of money. Of course there are those that already have an aircraft that don’t mind the time or the cost. I’d like to discuss our role in the process; I compare myself to the “general contractor” on a home construction project. I work very closely with the world-renowned lead design engineer “Manny” Loret de Mola. We have designers, engineers, manufacturing capabilities and like most other companies in the business, we also sub-contract portions of the completion. Being a boutique operation is a major advantage to our clients. They get personal attention of our principals and first string of employees. Not one of the thousands of employees at the mega houses. There many of the design houses that have no operational experience. We feel they are missing an important indigent. Our staff includes members that have years of experience flying and maintaining airliners. We are capable of assisting our client from acquisition though operations. While may of these amenities sound like luxuries, I can assure that these features are very cost effective and in fact traveling by any other means would be doing stockholders an injustice by wasting executive time and not providing a safe work environment for the companies most valued talent. Remember when flying on an airliner with 300 other people there is no way to assure the safety and security of these key executives, “Heads of State” or high net worth individuals. The primary goal on a project of this nature must always be safety!